Dr. Arias provides brilliant insight into the ethos of Cubans and Cuban Americans, told with honesty and authenticity. Initially told through the eyes of Anaís, a successful Cuban-American businesswoman adopted by a non-Latino family. Now 38 years old, Anaís is selected to join a diplomatic trade mission to the country of her birth. 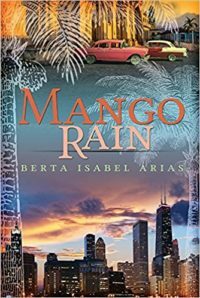 Her diplomatic journey from Chicago to Havana, entwined with her curiosity about who she really is, and her love of beauty, nature and people, lead her on an adventure of surprising self-discovery and danger.